Your roof is one of the most important structural components of your home so it’s important that you take care of it, particularly with the unpredictable weather we often experience across Queensland. Whether you need guttering replaced, your roof needs maintenance or painting or you need to consider a new roof altogether, sometimes it’s difficult to know whom to trust with this important issue. Here are a few questions you should ask yourself when choosing the right roofing contractor. Different skill sets are required to install different roofs, and different regions in Australia require roofing contractors to hold a variety of licenses. In Queensland, professional roofing contractors should hold a roofing license that has been issued by the Queensland Building and Construction Commission (QBCC), and two classes of general licenses are issued – one for nominee supervisors and one for trade contractors. These licenses are relevant to any person or business that works on any roofing tasks over $3,000, and it’s also required that a roofing contractor holds a roof tiling and/or a roof and wall cladding license. Roofing contractors also need to complete the relevant training and assessment in order for them to be issued a General Construction Induction White card (formerly known as a blue card). This prepares them for working safely in the construction industry, and a Safe Work Method Statement (SMS) is also required by businesses in Queensland where work is carried out at heights greater than two metres. If you’re looking for a company that specialises in roof maintenance services, it’s also worth asking whether they are members of any professional associations, including the Master Builders Association (MBA). Membership with the MBA gives businesses access to valuable building insights and allows them to contribute to the industry’s quality and innovation standards. Do They Provide Adequate Insurance? Restoring or replacing a roof can be expensive and therefore it’s an important investment. 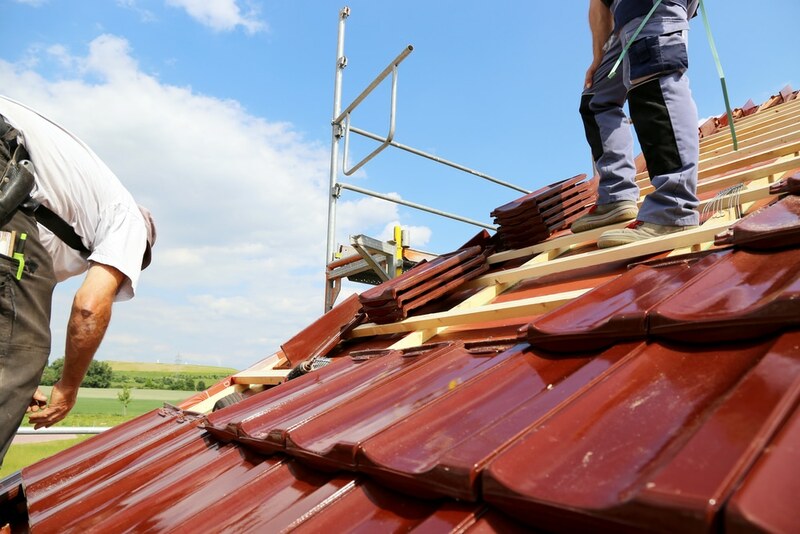 Professional roofing contractors should have insurance, which basically protects both parties (yourself and their business), and offers comprehensive protection from any issues that may arise from working on your roof. Public Liability Insurance and Product Liability Insurance are two forms of insurance that all reputable roofing contractors should have, as it not only forms part of a company’s professional conduct, it’s also a crucial aspect of all construction work. When it comes to reputable roofing companies, they should also provide you with written warranties for the work they do and the products they use as well. 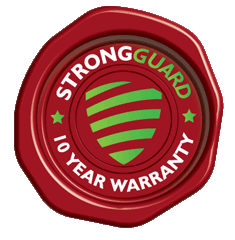 Here at Strongguard, we offer a ten-year workmanship warranty on each and every job we do. We also use only quality BlueScope Steel products, including those from the COLORBOND® steel and ZINCALUME® steel ranges. Depending on the product you choose and its application, BlueScope Steel offers a warranty ‘against corrosion to perforation by weathering in the natural elements for a period of up to 36 years from the date of installation’. BlueScope Steel also warrants that the paint system on COLORBOND® steel ‘will not flake or peel due to natural weathering for a period of up to 20 years from the date of installation’. How Do Their Credentials Stack Up? When researching roof maintenance or roof replacement companies, it’s worth making sure that their business has basic identifiers like a website, email address, office phone number, search engine listing and a permanent place of business. Legitimate roofing contractors should also be able to provide you with their Australian Business Number and Tax File Number, and you should only pay GST to contractors who are actually registered for GST. It’s also worth researching how long your roofing contractor has been in business, as it’s a good indicator of their reliability. If they’ve been operating for years (or 20 years like us! ), then they are well-established, have a large number of staff (we have over 30) and have probably serviced hundreds of happy clients. Will They Provide A Detailed Quote? A detailed obligation-free quote is a safeguard for both you and your roofing contractor particularly in the event that something doesn’t go to plan, and it should be provided after your contractor has done a full on-site inspection of your roof. The written quote should include a detailed description of the work required, where the work will be undertaken, materials that will be used when they see the job starting and its approximate finish date. At this stage of the process, they should also be providing you with insurance and licensing details, details of any guarantees on both products and workmanship, terms of payment and any other terms and conditions that are related to the job. An outline of ‘next steps’ should also be supplied so that you are fully aware of when the work might be able to be undertaken and what you need to do next. Checking references is one of the best ways you can gain more information about roofing companies and their services. Many businesses will post testimonials from happy customers on their websites, including more information about what sort of work was done and the customer service they received. And here you’ll also often find detailed images of jobs they’ve undertaken and the end result. Strongguard has over 20 years experience servicing customers in Brisbane and Southeast Queensland. Contact us on (07) 3623 4422 for a quote!